Have you recently started a business or are you planning to start one? 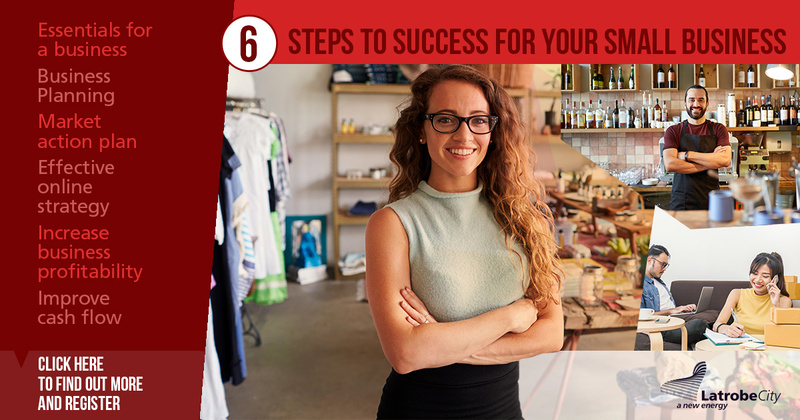 The Six Steps to Success for your Small Business program is designed to provide you with the tools to build the foundations of a successful business. The workshops will be delivered one night a week over a 6 week period. With a maximum of 15 participants the program provides an opportunity to develop your network and give your business the best opportunity starting out. The workshops will take place at Latrobe City Council Traralgon Service Centre & Library, 34-38 Kay Street Traralgon.